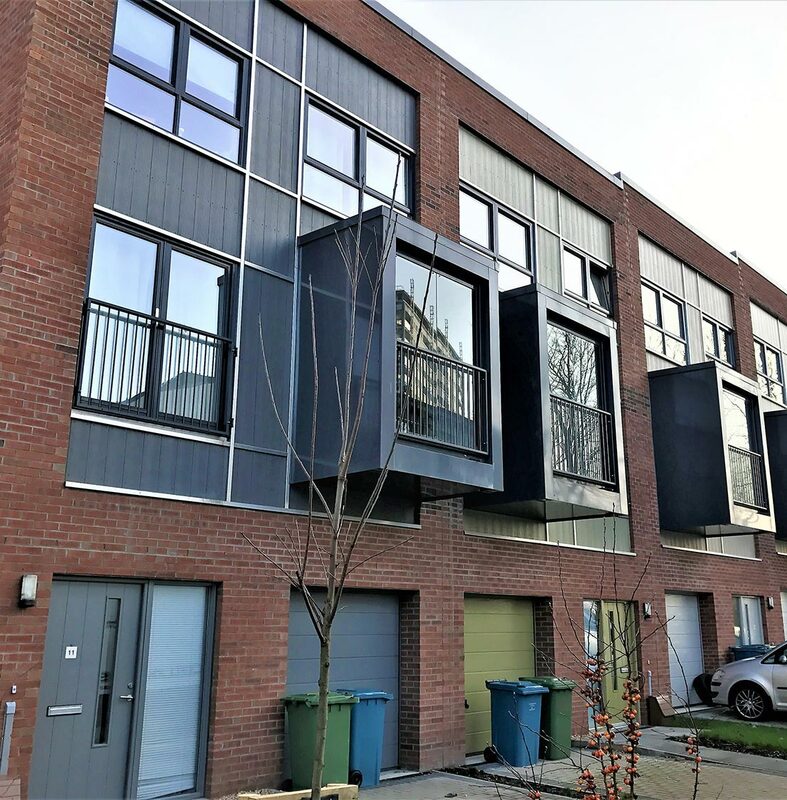 The development, carried out for Partick Housing Association, consisted of a 15 bed carehome, 14 townhouses and 18 flats available for affordable housing and private let. 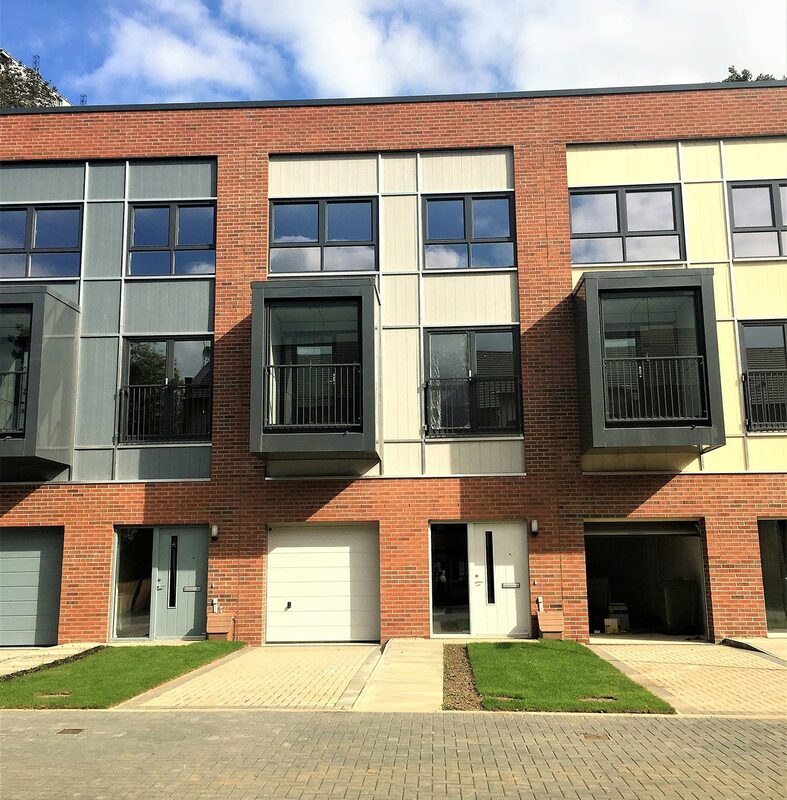 The development is situated in the Broomhill neighbourhood; a popular residential area located approximately three miles from Glasgow City Centre. It is located close to the principal traffic routes of Dumbarton Road and Crow Road and sits on the boundary of Base Accessibility within the Inner Urban Area of City Plan 2. The site is bounded by Broomhill Place, Broomhill Lane and Broomhill Drive with a vehicular entrance from Broomhill Lane. Orientation of the blocks were carefully positioned to maximise passive solar gain and to create a frontage to Broomhill Lane. Garden areas at the common close block and the care home are at the same level as the existing gardens on Broomlea Lane and Broomlea Place. The development has clear delineation between public and private, and the creation of secure private amenity space provided to rear gardens. Passive surveillance has carefully been integrated to the proposals giving all dwellings the ability to view the site and minimise potential secluded areas. The three blocks complement each other by using the same palette of materials. This approach tied the development together in a cohesive manner. The Townhouse elevations were defined by the coloured laminate panels and projecting sunspaces, giving each dwelling a demarcation within the terrace. The sunspaces provide additional living space, act as a solar buffer and as a key element of the design aesthetic. The elevations have a base colour of brick to create a flat plane which is broken up by the laminate cladding and vertical aluminium flashings. The monpitch zinc roofs reflect the sloping topography of the site and suggest the split level arrangement which has been developed. Large windows maximise natural daylight and passive solar gain.